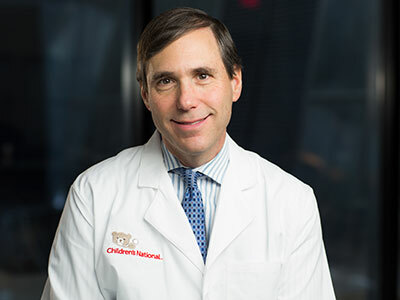 Craig Sable, M.D., associate chief of the division of cardiology and director of echocardiography at Children’s National Health System, earned a lifetime achievement award, formally known as the 2018 Cardiovascular Disease in the Young (CVDY) Meritorious Achievement Award, on Nov. 10 at the American Heart Association’s Scientific Sessions 2018. 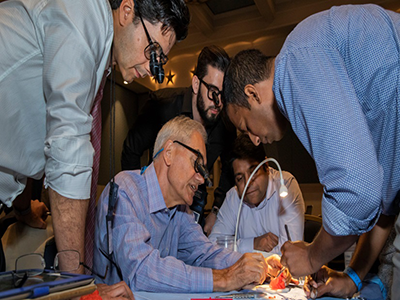 The CVDY Council bestows the prestigious award to individuals making a significant impact in the field of cardiovascular disease in the young. 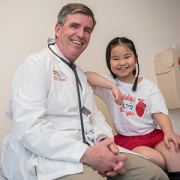 The CVDY Council supports the mission to improve the health of children and adults with congenital heart disease and acquired heart disease during childhood through research, education, prevention and advocacy. 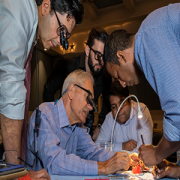 Dr. Sable is recognized for his entire body of research, education and advocacy focused on congenital and acquired heart disease, but especially for his rheumatic heart disease (RHD) research in Uganda. Over the past 15 years, Dr. Sable has brought more than 100 doctors and medical staff to Kampala, the capital and largest city in Uganda, partnering with more than 100 local doctors and clinicians to develop a template for a sustainable infrastructure to diagnose, treat and prevent both RHD and congenital heart disease. RHD is a result of damage to the heart valves after acute rheumatic fever (ARF). The process starts with a sore throat from streptococcal infection, which many children in the United States treat with antibiotics. In 2017, Sable and the researchers published a study in the New England Journal of Medicine about the global burden of RHD, which is often referred to as a disease of poverty. RHD is observed more frequently in low- and middle-income countries as well as in marginalized communities in high-income countries. RHD has declined on a global scale, but it remains the most significant cause of morbidity and mortality from heart disease in children and young adults throughout the world. In 2017 there were 39.4 million causes of RHD, which resulted in 285,000 deaths and 9.4 million disability-adjusted life-years. In 2018 the World Health Organization issued a referendum recognizing rheumatic heart disease as an important disease that member states and ministries of health need to prioritize in their public health efforts. 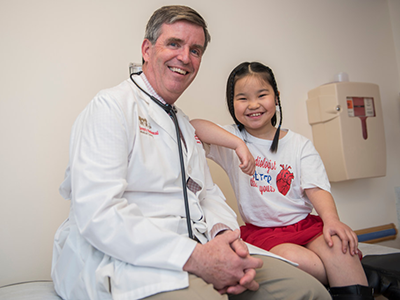 The common denominator that drives Dr. Sable and the global researchers, many of whom have received grants from the American Heart Association to study RHD, is the impact that creating a scalable solution, such as widespread adoption of vaccines, can have on entire communities. Sable and the team have screened more than 100,000 children and are conducting the first randomized controlled RHD trial, enrolling nearly 1,000 children, to examine the effectiveness of using penicillin to prevent progression of latent or subclinical heart disease, the earliest form of RHD. During the Thanksgiving holiday weekend, Dr. Sable and a team of surgeons will fly back to Uganda to operate on children affected by RHD, while also advancing their research efforts to produce a scalable solution, exported on a global scale, to prevent RHD in its earliest stages. Dr. Sable and colleagues from around the world partner on several grant-funded research projects. Over the next few years, the team hopes to answer several important questions, including: Does penicillin prevent the earliest form of RHD and can we develop a vaccine to prevent RHD? To view the team’s previously-published research, visit Sable’s PubMed profile. 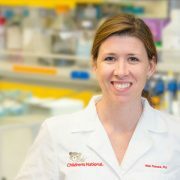 To learn about global health initiatives led by researchers at Children’s National, visit www.GHICN.org. 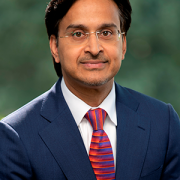 https://innovationdistrict.childrensnational.org/wp-content/uploads/2017/06/Craig-Sable.jpg 300 400 Innovation District https://innovationdistrict.childrensnational.org/wp-content/uploads/2018/11/idlogo1-tagline-Advances-in-Medicine.gif Innovation District2018-11-14 12:31:562018-11-19 10:47:05Can a vaccine prevent the earliest forms of rheumatic heart disease? 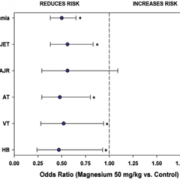 Magnesium (Mg) helps reduce arrhythmias, irregular heart rhythms, in adults. It also helps alleviate the symptoms of postoperative atrial fibrillation, or AFib, which can lead to blood clots, stroke and heart failure. 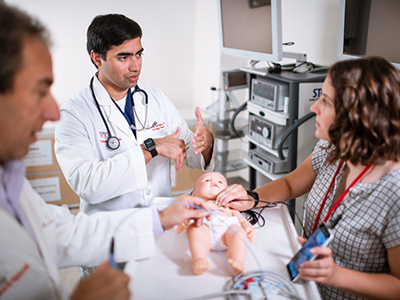 Can it help prevent postsurgical arrhythmias in pediatric patients with congenital heart disease? 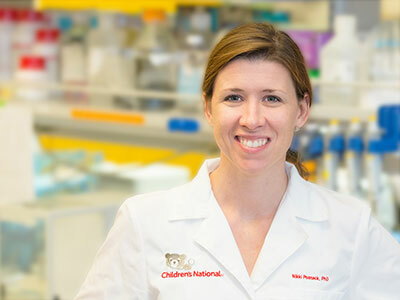 New research from Children’s National Health System finds a 25- or 50-mg dose of Mg used during congenital heart surgery (CHS) helps prevent arrhythmias, especially junctional ectopic tachycardia (JET) and atrial tachycardia (AT), common arrhythmias following CHS, according to a study published in the August 2018 edition of The Journal of Thoracic and Cardiovascular Surgery. To reach this conclusion, the researchers separated 1,871 CHS patients from Children’s National into three groups: a control group of 750 patients who had surgery without Mg, a group of 338 patients receiving a 25-mg /kg dose of Mg during surgery and a group of 783 patients receiving a 50-mg/kg dose of Mg during surgery. 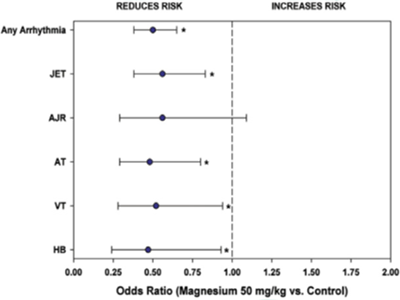 The data looked at CHS cases over eight years, from 2005 to 2013, to determine if Mg administration during surgery alleviates postoperative arrhythmias and if the amount, measured by a 25- or 50-mg/kg dose, makes a difference. The researchers found that up to one-third of CHS patients experience postoperative arrhythmias, with JET and AT accounting for more than two-thirds of arrhythmias following CHS. 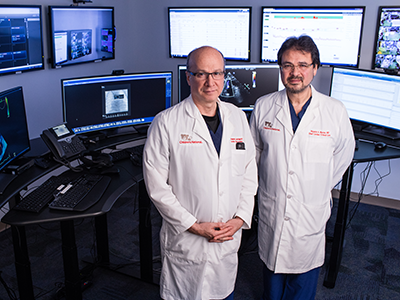 They note that despite the administration of Mg during surgery, there continues to be a high incidence of postoperative arrhythmias – affecting 18 percent or about one in five CHS patients. The researchers note that postoperative arrhythmias impact the recovery period of CHS, increase the duration of intubation and CICU stay and prolong hospital stay. 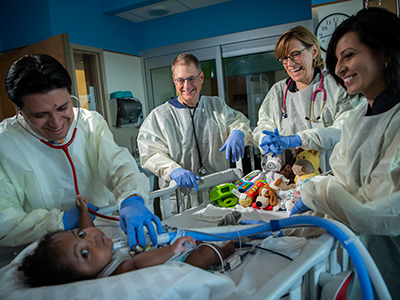 Children’s National Health System is pleased to announce Ricardo Muñoz, M.D., as chief of the Division of Cardiac Critical Care Medicine and co-director of the Children’s National Heart Institute. 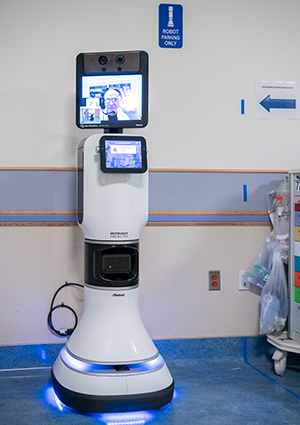 Dr. Muñoz also will serve as the executive director of Telemedicine Services at Children’s National, working to leverage advances in technology to improve access to health care for underserved communities and developing nations. 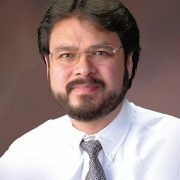 Within the new division of Cardiac Critical Care Medicine, Dr. Muñoz will oversee the work of a multidisciplinary team, including critical care nurse practitioners and nurses, respiratory and physical therapists, nutritionists, social workers and pharmacists, in addition to a medical staff with one of the highest rates of double-boarded specialists in cardiology and critical care. Dr. Muñoz comes to Children’s National from Children’s Hospital of Pittsburgh of UPMC. 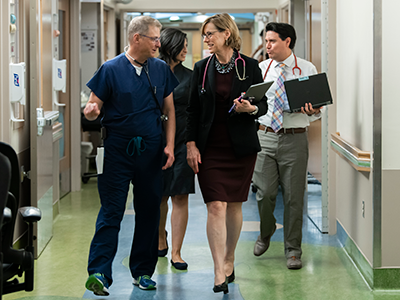 During his 15-year tenure there, he established the cardiac intensive care unit and co-led the Heart Center in a multidisciplinary effort to achieve some of the best outcomes in the nation. 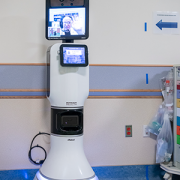 He also is credited with pioneering telemedicine for pediatric critical care, providing nearly 4,000 consultations globally. Dr. Muñoz attended medical school at the Universidad del Norte, Barranquilla, Colombia, and completed his residency in pediatrics at the Hospital Militar Central, Bógota, Colombia. 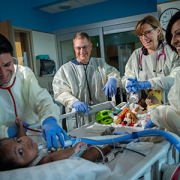 He continued his training as a general pediatrics and pediatric critical care fellow at Massachusetts General Hospital, and as a pediatric cardiology fellow at Boston Children’s Hospital. 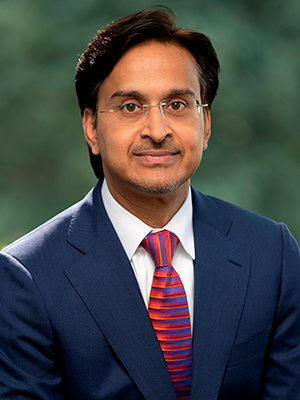 He then joined the faculty at Harvard Medical School and served as an attending physician in the Cardiac Intensive Care Unit at Boston Children’s. 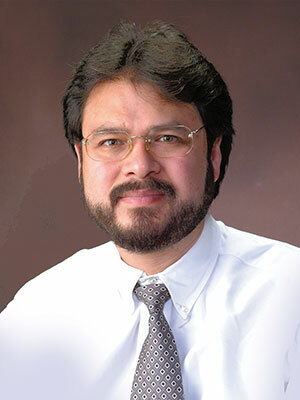 Dr. Muñoz is board certified in pediatrics, pediatric critical care and in pediatric cardiology. He is a fellow of the American Academy of Pediatrics, the American College of Critical Care Medicine and the American College of Cardiology. 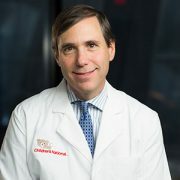 Additionally, he is the primary editor and co-author of multiple textbooks and award-winning handbooks in pediatric cardiac intensive care, including Spanish language editions. 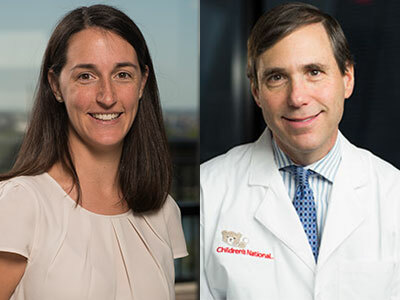 A research team that included Children’s National Heart Institute experts Andrea Beaton, M.D., and Craig Sable, M.D., examined data on fatal and nonfatal Rheumatic Heart Disease for a 25 year period from 1990 through 2015 to determine the current global burden of RHD. Rheumatic Heart Disease (RHD) is the most commonly acquired heart disease in young people under the age of 25. It’s caused by untreated streptococcal throat infections that progress into acute rheumatic fever and eventually weaken the valves of the heart. Fortunately, the devastating condition, which was endemic in the United States before 1950, is now relatively rare in the developed world due to social and economic development and the introduction of penicillin. But, as shown in a recent study published in the New England Journal of Medicine, in the developing world, RHD remains nearly as common as HIV. 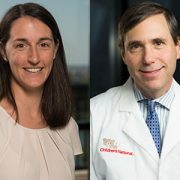 As part of the 2015 Global Burden of Disease Study, a research team that included Children’s National Heart Institute experts Andrea Beaton, M.D., and Craig Sable, M.D., examined data on fatal and nonfatal RHD for a 25 year period from 1990 through 2015 to determine the current global burden of RHD. The group employed epidemiologic modeling techniques to estimate the global, regional and national prevalence of RHD, as well as death rates and disability-adjusted life years attributable to the disease. The researchers found that overall, death rates from RHD have declined: there were 347,500 deaths from RHD in 1990 and 319,400 deaths in 2015, a decrease of 8 percent. From 1990 to 2015, the global age-standardized death rate from RHD also decreased from 9.2 to 4.8 per 100,000 — a change of 48 percent. However, a closer look at the data shows that progress on RHD remains uneven. Although the health-related burden of RHD has declined in most countries over the 25-year period, the condition persists in some of the poorest regions in the world, with the highest estimated death rates in Central African Republic, Federated States of Micronesia, Fiji, India, Kiribati, Lesotho, Marshall Islands, Pakistan, Papua New Guinea, the Solomon Islands and Vanuatu. In several regions, mortality from RHD and the number of individuals living with RHD did not appreciably decline between 1990 and 2015. The researchers estimate that 10 out of every 1,000 people living in South Asia and central sub-Saharan Africa and 15 out of 1,000 people in Oceania were living with RHD in 2015. 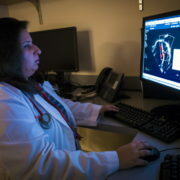 Children’s National Health System was recently awarded a grant from the American Heart Association to launch a Rheumatic Heart Disease Center, with the goal of developing innovative strategies and economic incentives to improve the prevention and diagnosis of RHD in high-risk, financially disadvantaged countries and low-income communities across the United States. 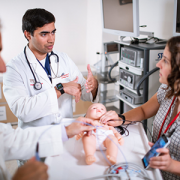 The program will use Children’s robust telemedicine infrastructure to connect co-collaborators around the world, as well as train the next generation of globally minded cardiovascular researchers.